IRS Offer in Compromise helped our client who came to us with a tax bill totaling $30,176.00. This gentleman had filed all his tax returns, but for a period of two years his wife was very ill and they had a large amount of medical bills. Being self-employed the estimated tax payments for this taxpayer were overlooked while dealing with his wife’s medical issues. After looking at his case we determined he could qualify for an Offer in Compromise. Once we filed the IRS Offer in Compromise it took just over 8 months to obtain acceptance. 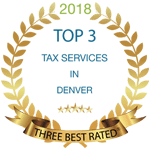 Our client was aware of the estimated time frame ahead of time based on our experience and knowing the IRS is understaffed and operating under budget. Eight months later, after little negotiations with the examiner, the IRS accepted our Offer in Compromise of $1,513.00 and agreed to settle. 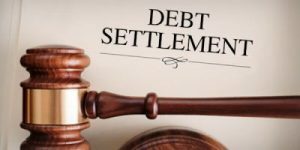 We set the client up on a periodic payment offer, and he will make small monthly payments for about another 16 months until his Offer is paid in full, and will then receive releases of his Federal Tax Liens . If you or someone you know can’t afford to pay back their IRS tax liability, and you are unsure what to do, give us a call at 866-888-6090. We would be more than happy to schedule a no-obligation consultation to discuss what options you may have available to you.